Sony Ericsson is promoting the new Xperia Play Android smartphone with “Surgeon”, a television commercial launched during the Super Bowl. 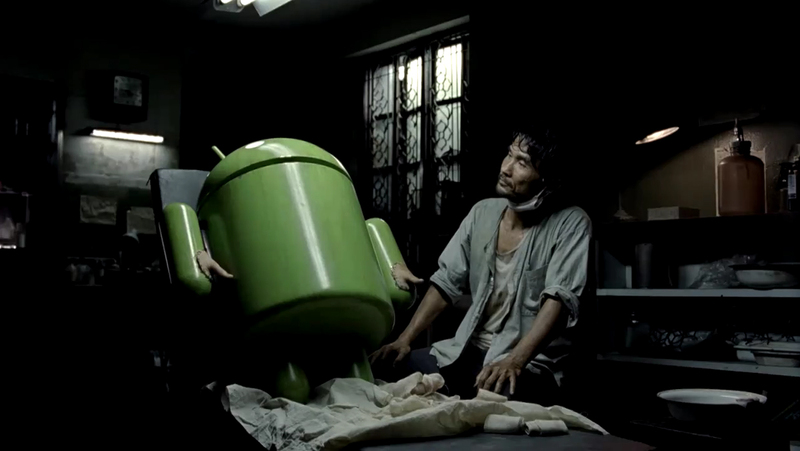 The ad brings to life the Android character, who is ready to play. The ad is appearing during the Sony Ericsson Open in March as well as in online channels, such as YouTube, Hulu, SonyEricsson.com, and all Sony Ericsson Facebook properties. “Everything you need and the one thing you want”. The Android Surgeon ad was developed at McCann New York by creative director/copywriter Sean Bryan, creative director/art director Tom Murphy, agency executive producer Greg Lotus, account director Jeff Geisler. Filming was shot by director Noam Murro via Biscuit Filmworks with executive producer Shawn Lacy, producers Jay Veal and Greg Lotus, and director of photography Simon Duggan. Editor was Gavin Cutler at Mackenzie Cutler with assistant editor Nick Divers and sound designer Sam Shaffer. Puppeteering was done at Legacy. VFX were produced at Method Studios. Sound was mixed at Blast Digital Audio by sound engineer Joe O’Connell. Music was produced by Thwak.